Ireland are finally set to update decades-old legislation and create a new independent gambling regulator, but it will not be in place for another 18 months. 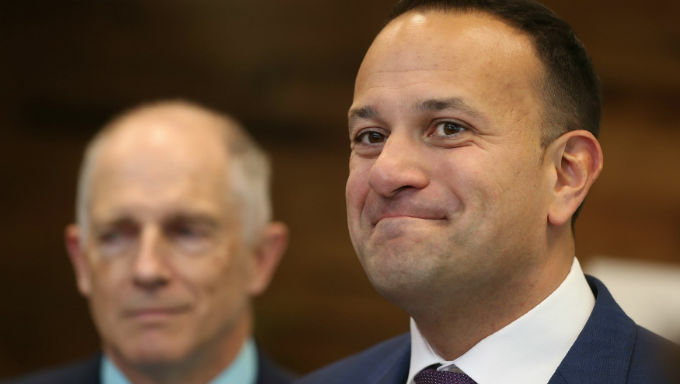 Taoiseach Leo Varadkar has admitted Ireland’s current gambling laws — a mismatch of amendments and precedent in the Gaming and Lotteries Act 1956 — are in need of a major overhaul. As such, The Gaming and Lotteries (Amendment) Bill 2019 has been approved and a government report from an interdepartmental working group into gambling has outlined the plans for reform. The government want Ireland’s gambling industry to pay a levy in order to run the independent authority, with part of the money going towards education and information programmes for those affected by addiction. The Minister added: “The Government has made a major commitment to the modernisation of our licensing and regulatory environment for gambling. Funding for the authority would come from ‘income from licence fees and fines imposed on operators’. Amazingly, the minimum gambling age across all activities in Ireland will only now be fully standardised at the age of 18. That goes for the Tote as well, with the Totalisator Act 1929 amended to set a minimum playing age. The new Bill will ‘increase the stake and prize limits to €10 and €750 respectively (from 3c and 50c) for those gaming machines permitted under the conditions of Part III of the Act. These limits have not been increased since 1956’. And it is recommended that the Minister for Justice and Equality’s authority on gaming machines be transferred to the new regulator, which would be responsible for issuing all licenses and permits for gambling activities. And that means the Revenue Commissioners, An Garda Síochána, local authorities, Horse Racing Ireland and the District Court will cease to have direct responsibility for licensing permits. The government will also have greater powers around advertising, sponsorship and promotion of gambling activities. Gambling in Ireland generates between €6bn and €8bn a year and there is a growing number turning to online betting in a market that has very similar betting trends to the UK. The set-up of a sports betting integrity unit has been proposed, which would aim to tackle concerns over match fixing and money laundering. The intention is to mirror a similar authority running in the UK. The report also recommends a change in how disputes between gaming companies and punters are carried out, stating: ‘the development of an alternative dispute resolution mechanism to settle disputes is recommended’. Local gaming is also set for a revamp, with the report adding: ‘The modernisation of the permit and licence systems for local gaming and lotteries will serve an important public interest in assisting the better promotion of gaming and lotteries, prevent potential criminal or fraudulent behaviour and enhance consumer protection’.